Tonight a King will be born, and all the stars in heaven are competing to see who can shine the brightest for Him. But when the stars see the poor family huddling in the shabby stable, they begin to think that this baby couldn't be a King after all! That is, all the stars except the smallest, loneliest star in the sky, Little Star. He recognizes the baby Jesus as the King of kings and understands His special message of love. 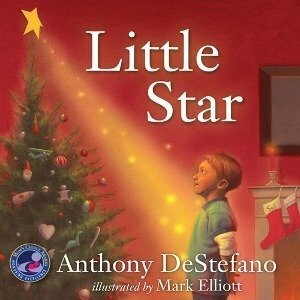 Read on to discover the extraordinary way Little Star serves his King on that cold, dark night. Certain to become a Christmas classic, this delightful tale connects the star atop the Christmas tree to the true meaning of Christmas-the birth of Jesus. By Anthony DeStefano. 36 pages, Hard Cover.